Clouds is the story of a family of an uncle, an auntie and a niece and through 4 years of their lives we observe the dispossession through generations and the unplanned growth of the village. Tanri göçmen çocuklari sever mi anne? Fethiye Sessiz, a notorious clairvoyant from Izmir in 1970s and 1980s, remembers fractions of her survival from abuse, kidnappings and violence. Seoul, 1994 -- in the year the Seongsu Bridge collapsed, 14-year-old Eunhee wanders the city searching for love. A rogue teenager who is a pigeon thief aids an 8-year-old child who is trying to complete the house foundation from his father by doing the job he knows best. 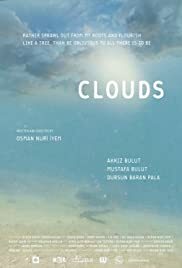 Clouds is a tragi-comical docudrama that takes place in a small Aegean village in Turkey. It depicts the story of a family (an uncle, an auntie and a niece) from a neutral and humanistic standpoint . For 4 years of their lives, the docu-drama explores these relationships trying to understand the variables that contribute to the development of communal empowerment and local economic sustainability, through the expression of the emotional and daily narratives we develop ourselves in order to survive and preserve.